Got a garage door repair question? Check out this selection of answers to frequently asked questions. Why is my garage door reopening before it touches the ground? It is usually a false alarm and the experience of our company leads us to believe that the reverse system of the opener finds an obstacle and keeps the door from closing properly. Search thoroughly under the door because the slightest rock or tree leave could be the reason, if the sensors are too sensitive. That's a good sign though; it shows the sensors work at their best. Why should I get an automatic opener? This is the 21st century and technologies are travelling faster than the wind. Why would you want a manual opener? Apart from the obvious convenience of electric openers the specialists of our company would remind you that contemporary units have excellent safety units and work with high tech remote controls. It's basically about safety and security matters, the convenience and comfort of your family. New technologies make our lives easier and safer. Can I get backup opener systems separately? The backup battery system is a separate device anyhow and you can get it any time you want as long as your opener is compatible and relatively modern. 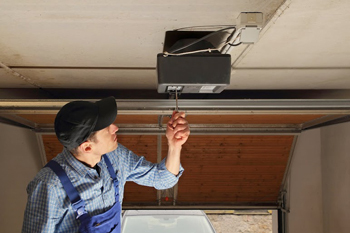 You won't need to replace the current garage door opener, only to connect this extra device according to the experts of our company. Should I get standard torsion springs? 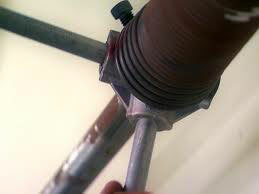 Standard torsion spring garage door systems are best for residences according to our experts. If the door is heavier, you can use the duplex system and that means that there will be one more spring inside the main one. Commercial doors will need more springs. How long does it take to install an automatic garage door? Installing a garage door will vary in length, but average services last for a few hours. Our experts install garage doors quickly to allow you to get back to your busy life. Are garage door tracks prone to bending? Generally, they are not. They can bend only if they are severely hit. Still, our experts explain that not all tracks are created equal when it comes to strength. The thicker steel models are typically stronger than their counterparts and more resistant to impact as well. I had an electric garage door installed, what do I need to watch for? To put it quite simply: everything. Garage door experts at Boston say that when it comes to electric garage door maintenance, you need to make sure that everything is working the way it should. From the moving parts to the cables, everything needs to be perfect. Basically, the size of a residential door should be eight to twenty feet and the height should be seven to eight feet. However, sizes of the door may also vary depending on the style and size of your house. Our experts can assist you and give you accurate estimate of sizes for your garage door.